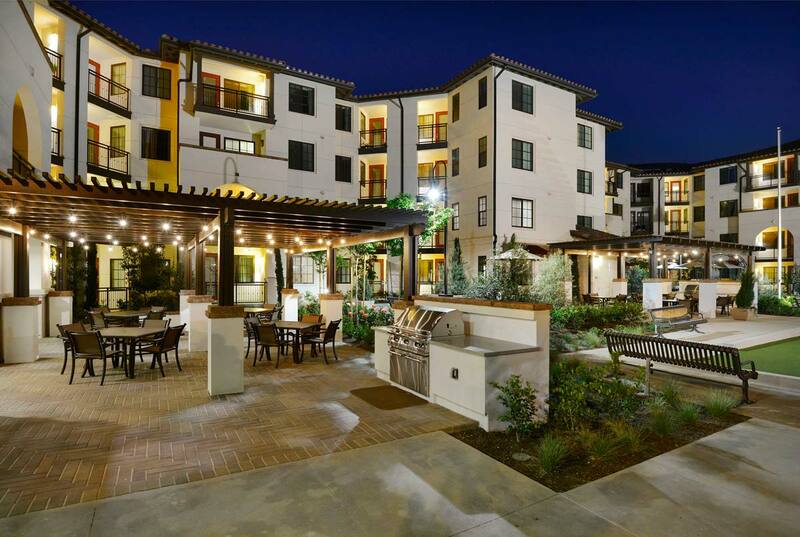 Irvine, CA, August 23, 2017 – Integrity Housing is pleased to announce that it recently opened Olivera Senior Apartments, an affordable community in Pomona, CA. Located at 600 S. Dudley Street, Olivera is now fully occupied and offering new apartment homes to 84 low-income seniors at 30 – 60 percent of the area median income, with five units reserved for veterans with Veterans Affairs Supportive Housing (VASH) Vouchers. 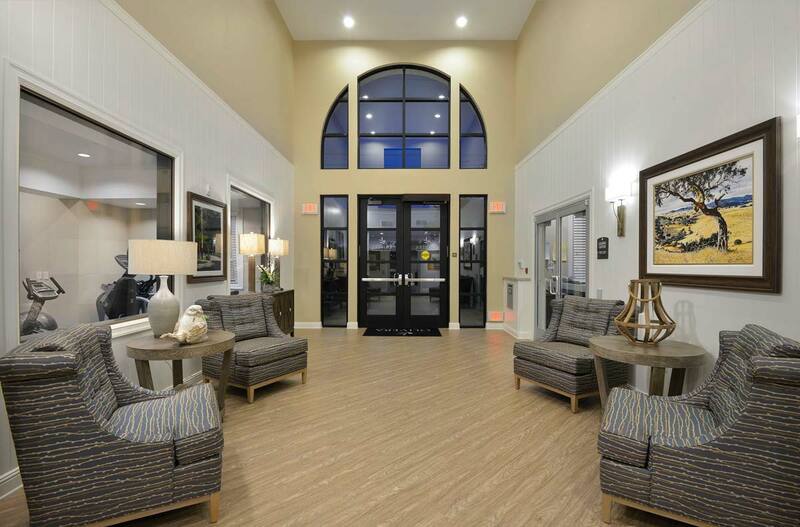 Olivera, one of Integrity Housing’s signature developments, is the result of bringing together multiple organizations, government agencies, and financial partners to create a high quality affordable community. Olivera was financed using 9% Low Income Housing Tax Credits and funding from the Federal Home Loan Bank Affordable Housing Program. 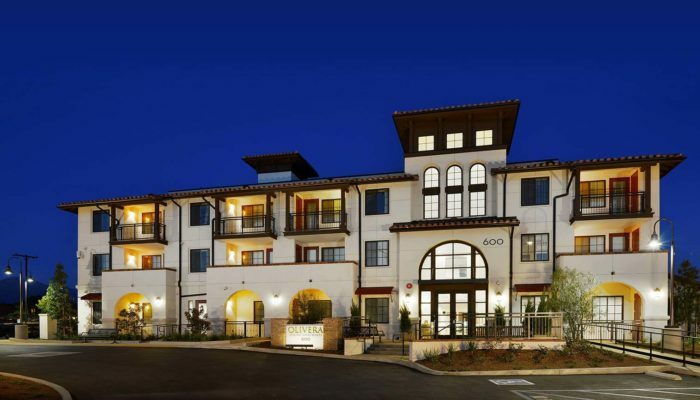 US Bank provided the construction loan, California Community Reinvestment Corporation provided the permanent loan, and City Real Estate Advisors is the tax credit equity partner. Additionally, the community is one of Integrity Housing’s distinctive “triple bottom line” developments, whereby investors provide an asset to the community with triple benefits: profitability for investors; social impact services for the residents; and a valuable, sustainably developed property for the region. Integrity Housing developed the property in partnership with Mayans Housing Corporation. Incorporating energy efficient construction and appliances, Olivera received the highest Gold Rating under the Green Point Rated Sustainable Program. Homes offer granite countertops, carpet and vinyl wood plank flooring, central heating and air conditioning, and private balconies and patios in select units. The Spanish Mediterranean-style community offers on-site parking, laundry facilities on each floor, a large club room, a fitness room, a computer room, a mail room and a reception area. A system of landscaped sidewalks connect the outdoor recreation and open spaces, including a community garden, a bocce ball court, a dog park, a dining terrace and community barbeques. The project was designed by KTGY Architecture + Planning with MJS Landscape Architecture. FPI Property Management provides on-site management, and collaborates with EngAGE, a nonprofit organization that provides arts, wellness, lifelong learning, and intergenerational programs. EngAGE’s mission is to change lives by transforming affordable housing into centers of unity, learning, and well-being. Classes may include languages, computers, gardening, cooking, music appreciation, acting, photography, drawing, poetry, chorus, yoga, strength training, financial literacy, etc. Classes currently underway at Olivera include Yoga/Meditation, Essentials of Aging, Tech Help, and Fraud Identification, among others.